I guarantee regular practice of Indian Head massage will transform your family life. Indian Head massage training is your perfect opportunity to have some fun & relaxing time together and the same time learn a skill that will last you a life time. Indian Head Massage training is based on traditional Indian techniques practised for centuries by using a variety of massage movements and acupressure points. Learning the skill of Indian head massage helps to reduce the build up of excess energy and tension in the head and shoulders. If we encounter too much stress it frequently results in premature aging resulting in lines, blemishes, headaches, migraine and eyestrain. Learning indian head massage techniques for the scalp, neck and face can aid in reducing all of these symptoms. Blood and lymphatic circulation is improved, tension is relieved and joint mobility can be improved. You will feel more in balance, relaxed, energised and ready to cope with the stresses and strains of a busy life. Warm oils are used on the scalp so you will find the condition of the scalp and hair can often be improved with regular treatment and in many cases aids hair re-growth. The full Indian Head massage treatment and takes approximately 20 minutes. It is a versatile treatment as it can be carried out almost anywhere. All that is required is a chair – no equipment is necessary and no clothing needs to be removed. The one day Indian head massage training course teaches a simple and complete routine involving the face, scalp, neck, shoulders and upper back areas. It is very easy to learn and anybody young and old can learn it. The course provided by Lynda Johnson at Thats Better Ltd, is mostly practical so you are guaranteed to float out after the training. Keep practising after the course and you will find regular Indian Head massage also assists in improving your physical and emotional wellbeing. Reiki shares are a fantastic opportunity to talk with other healers. Learn more about Reiki and practice your Reiki skills. It is also a time to really experience the healing benefits of Reiki as you recieve a group healing from the Reiki practitioners or if you want to practice your own skills. 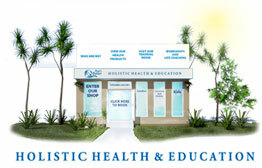 During this experience we will have a meditation and each month review and give refresher on a particular Reiki Topic. All students and Reiki Teachers welcome from any lineage. That’s Better – Holistic Health & Education, offer training courses in Reiki, Karuna Reiki, Hawaiian Lomi Lomi, Hot Stone & Indian Head Massage & Life Coaching seminars.